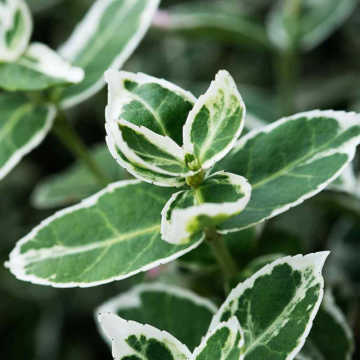 Euonymus japonicus 'Jean Hugues' is a dense, compact shrub with lovely evergreen foliage.  It is well suited to garden borders and hedging and is tipped to be the new favourite alternative for Box hedging. Where Buxus may be susceptible to box blight, Euonymus Jean Hugues is not; although we have never had a customer complain of box blight after ordering from us! 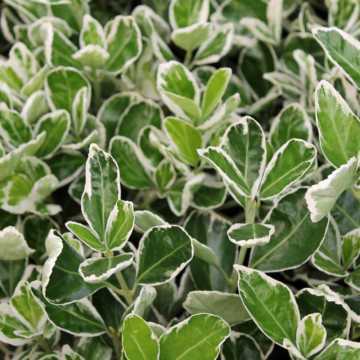 It is perfect for parterres and formal hedging as the foliage retains its dark green colour throughout Winter. 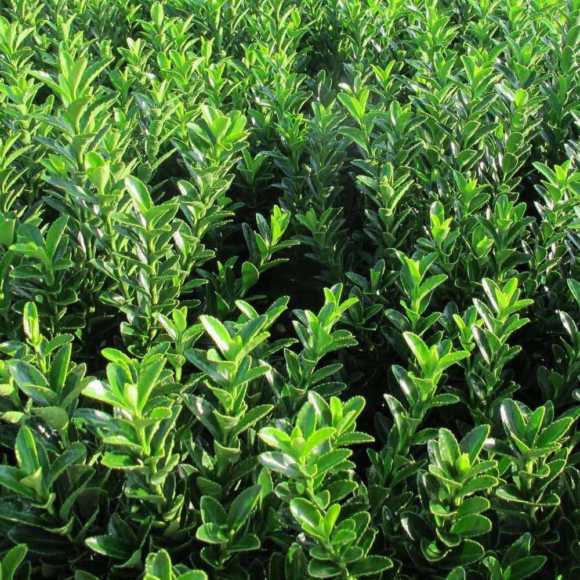 Another popular species for a Box hedge lookalike is Ilex crenata. or you can view all of our suggested box alternatives here. 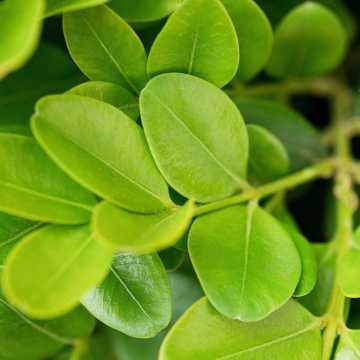 It is very hardy and will grow in all soils. 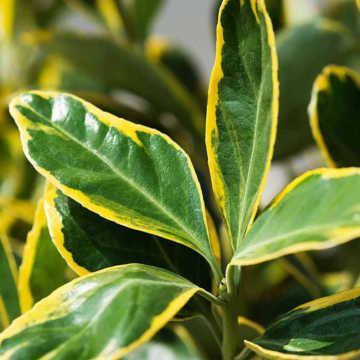 Ideal for hedging of up to 1m, it is easy to maintain and will grow in full sun to partial shade. 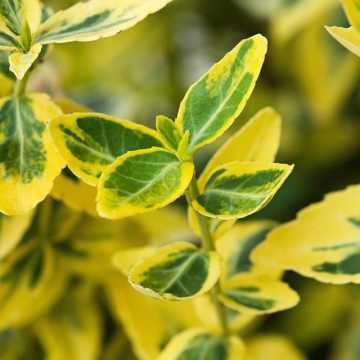 Easy to keep looking lovely, Euonymus Jean Hughes can be tip trimmed in May and tidied up again in September if required.